Which Pokémon is your city searching for on Pokémon Go? Pokémon Go has finally launched in the UK, with Brits of all ages whipping out their phones and hunting for Pikachu and pals like it’s 2000 all over again. If you’re not familiar with Pokémon Go (welcome back to Earth! ), it’s an ‘augmented reality’ game in which Pokémon appear through the lens of your phone’s camera as if they were really there. When you find one, you have to catch it using a virtual Pokéball. The overall goal is to catch ‘em all. With so many Pokémon to find, catching them all is proving difficult for many. And in times of difficulty, there’s only one place to turn: Google. 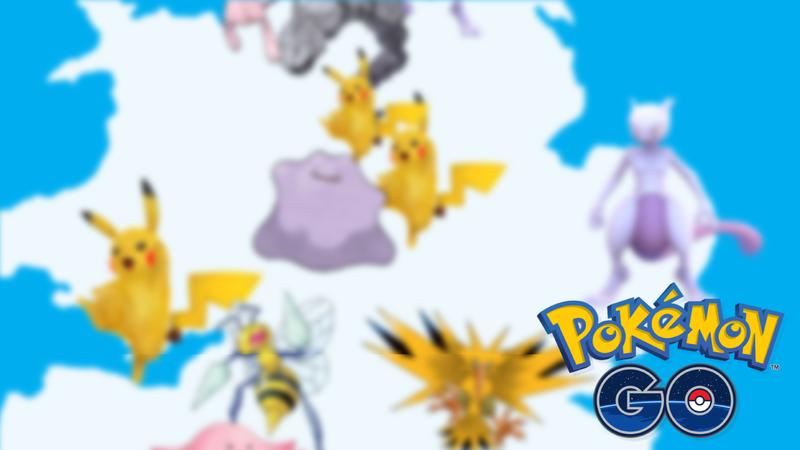 Brits have been frantically searching for Pokémon in their cities, so we decided to find out which Pokémon each city has been searching for most. We took phrases like ‘where is…’ and ‘how to find…’ and matched them up with all of the Pokémon, then measured the volume of searches in cities across the country. Unsurprisingly, Pikachu is the UK’s most wanted Pokémon, with Cardiff, Sheffield and Nottingham all hunting for everyone’s favourite yellow electric critter. In second place is Mewtwo, the main target in Leeds and Nottingham. Apart from that, every city is hunting for something different: Manchester wants Onix, London wants Zapdos and Birmingham wants Ditto. Maybe we could all meet up and tell each other where to find these elusive Pokémon? If you need some extra cash to pay for your Pokémon Go escapades, sell your CDs, DVDs, Games and Electronics with musicMagpie. You could even sell your mobile phone and get a new one if the game is running your battery down too quickly! Simply get an instant price, send your stuff for FREE and we’ll pay you on the same day it arrives. ← 30 must-play Xbox 360 games: how many have you played?